Since 2012, the San Diego Downtown News has been giving Downtown residents the news they want and need to hear — free of cost. 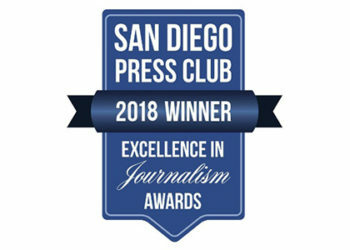 Here at the San Diego Downtown News we pride ourselves on presenting fair, balanced, accurate, informative and entertaining stories to our readers; so they can form their own opinions and stay informed as to what’s happening in their community. More than 20,000 copies of the San Diego Downtown News are delivered to free drop spots every month around Downtown neighborhoods, including Gaslamp, East Village and Little Italy.